In a below post on April 26th, I had covered British-made Pinocchio gag strip series ran in the color central pages of Britain's Mickey Mouse Weekly between 1949-53. Recently, I've come across this issue, no. 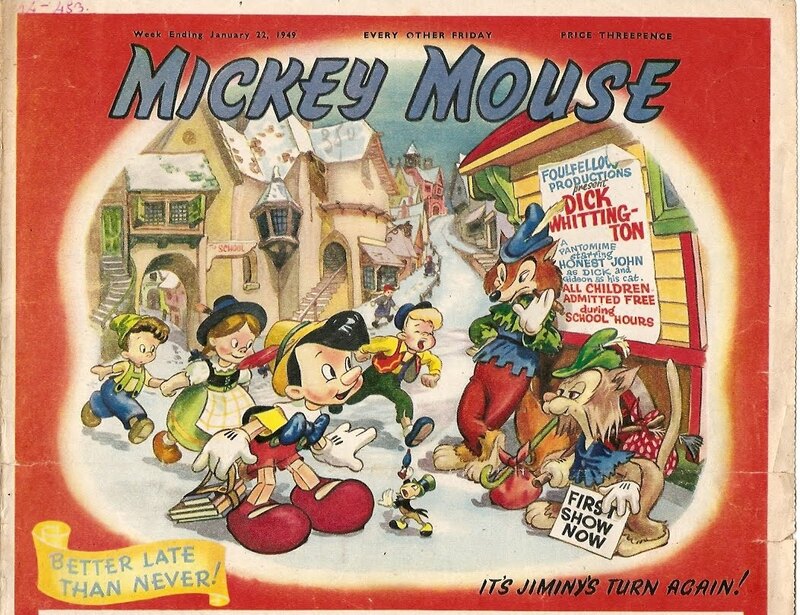 483 (dated Jan. 22d, 1949) which features a British-made Pinocchio gag comis on its cover, predating the start of the series by about half a year.